Manchester United suffered just their third loss under Ole Gunnar Solskjaer this evening, as the Red Devils crashed out the FA Cup following a 2-1 defeat to Wolves. Goals from Raul Jimenez and Diogo Jota proved to be enough in the end for Wolves, who booked their place in the semi finals of the competition following their win tonight. It was a dire performance from United, who were lacklustre at best throughout the entire 90 minutes today, something we haven’t had the chance to say all that often since Solskjaer took over as manager back in December. There aren’t many United players who can come off the pitch today with their head held high, especially Serbain Nemanja Matic, who had an absolute stinker for the away side. Matic’s play was sluggish and off the pace, and United could’ve really done with a more attacking and mobile player in his position for today’s clash. 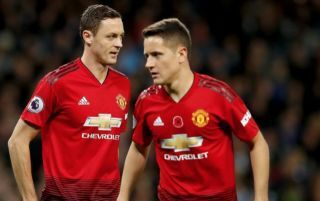 Matic’s poor performance was picked up on by a number of United fans, who flocked to Twitter to call for the club to sell the Serbian international. Matic needs to be sold next summer. Past his prime. Need a new attacker. Can't relay on Rashford he's been awful for too long now. Matic needs to be sold. Unpopular opinion but please sell Pogba and Matic in the summer.